The Rally Pro Series Championship consists of three rounds of 4/5days each that will bring bikes and riders from the centre of Marrakech to the big dunes of Merzouga in Morocco, passing through the green Mountains of Greece. The three races vary for terrain and race conditions and – for the first time – the 2013 Championship will be open also to the Rally bikes, in addition to the Rally Lite Category, reserved to the riders without a sporting palmares, who ride a machine that complies with the Rally Lite features (a machine without fairing, without bigger fuel tanks, etc). It will be possible to gain points valid for the Rally Pro Series Championship, participating to each single event, so it won’t be necessary to apply to the 3 rounds at the same time. The appointments. Enduro of Agadir-XRally 5-8 March, Morocco. A marathon rally that will see the riders tackle the pre-Sahara terrain with the use of road book and trip master. More than 1200 km to be covered in 7 special stages from Marrakech to Agadir passing through Taroudante, Tafraoute and Tiznit. Entry fee starting from 1,190€. Serres Rally 26-31 August, Greece. The European round of the Rally Pro Series will take place in the north of Greece. The headquarter will be in Serres, famous for the variety of the terrains and to have hosted the Six Days of Enduro in 2008. More than 1,500 km to cover in 5 days on the mountains north of Thessaloniki to return every evening at the Elpida Resort. Navigation with road book and trip master. Entry fee starting from 500€. 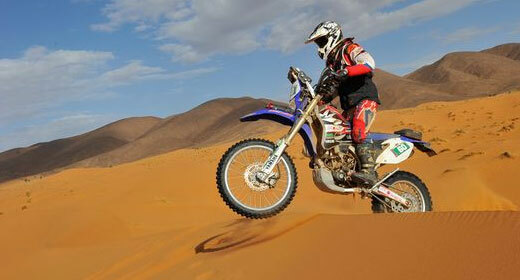 Merzouga Rally 21-26 October (TBC), Morocco. 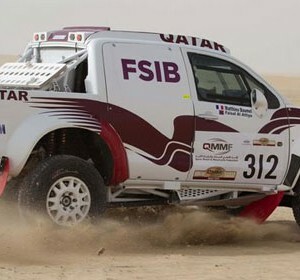 The traditional appointment at the beginning of November on the big dunes of Merzouga has been anticipated of a couple of weeks to allow the final tuning of the vehicles to be shipped to South America for the Dakar. At its 4th edition, the Merzouga Rally offers the ideal formula to finalize the technical preparation of the machines and the physical training of professional and amateur riders on the dunes of Merzouga with the same navigation system used on the Dakar: road book, Trip Master and GPS UNIK. Entry fee starting from 1,790€.